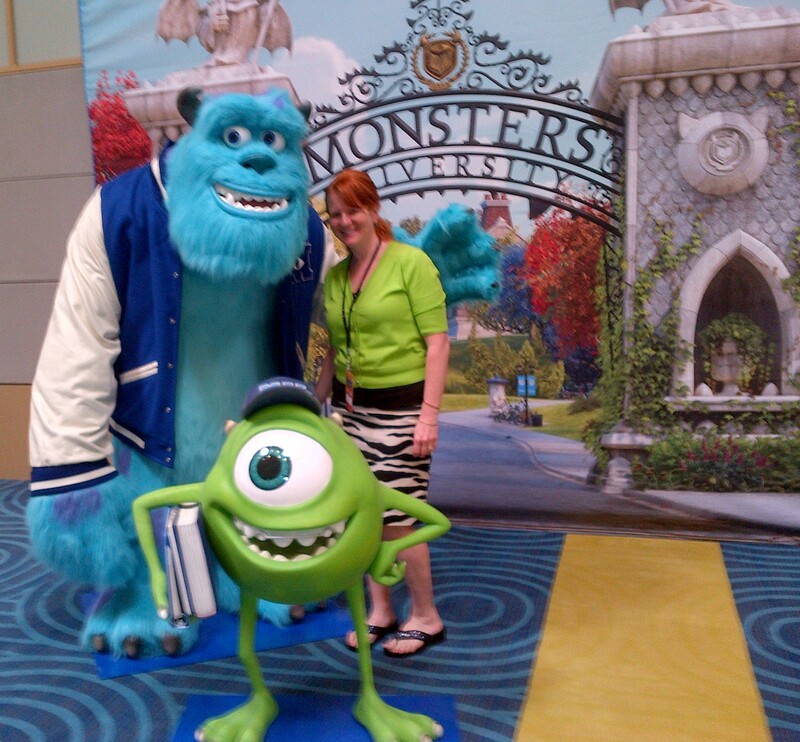 DisneyPixar's Monsters University (Un)Review - Hits Theaters June 21! 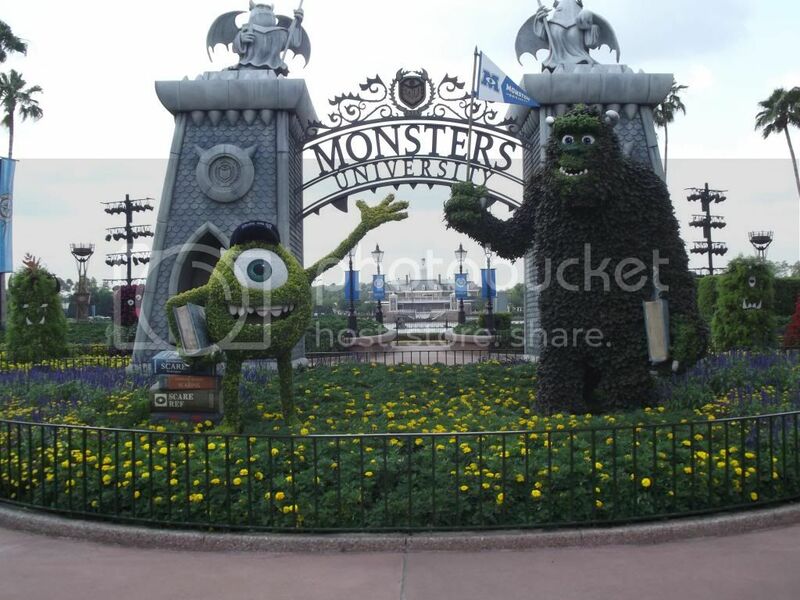 DisneyPixar’s Monsters University (Un)Review – Hits Theaters June 21! When my family and I recently attended the Disney Social Media Moms Celebration we were treated some incredible private events and I would love to tell you about every single one of them, but today I need to share the one that may have been our favorite, or at least my favorite. You may have heard there’s a new movie coming out called Monsters University and you may have also heard that it opens in theaters on June 21. If not, you have heard now, so go mark it on the calendar. Seriously. Go. Just hurry back because I have some fun stuff to share. Not only was there this amazing topiary at Epcot to help build the excitement of the new movie from DisneyPixar Studios……….. There was also an opportunity right outside our conference room to snap a photo with the stars of the film, Mike and Sulley. I didn’t color-coordinate with Mike on purpose, I swear. 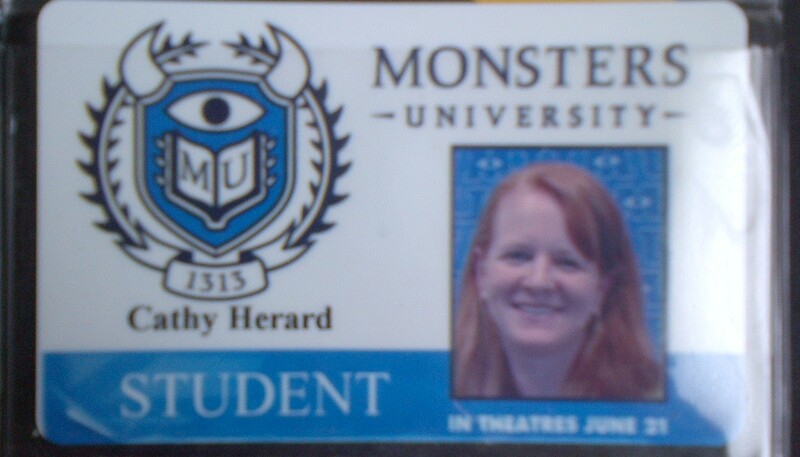 It was frightfully awesome and I laughed more than I did at the first movie, Monsters, Inc. It was downright SCARETASTIC! And one more thing. If you didn’t already mark June 21 on your calendar then go do it now. I promise you will not be disappointed. 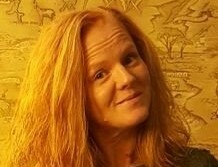 Okay, I’m gonna go do something else now before I spill the beans and get myself into a whole lotta trouble. Bye. No really. I’m going. 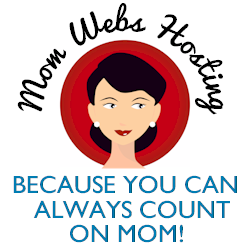 Disclosure: As an attendee of the Disney Social Media Moms Conference I received deeply reduced registration and fees for myself and my family. I was not asked to write this post or any others that I may share in the future. All thoughts and opinions are always my own.